Our product range includes a wide range of stainless heat exchanger, industrial heat exchanger, heat transfer equipment and re-boiler heat exchanger. Stainless Steel Heat Exchangers offered are precision designed for delivering optimum energy conservation as well as in recovery & implementation of new sources of energy being employed keeping in mind environmental concerns like thermal & air pollution, water pollution and others. These heat exchangers are highly demanded because of their high usage in meeting heat transfer needs in different industry sectors like cryogenic-heat recovery, power, air- conditioning, refrigeration and others. Further, our rich experience in this field allows us to manufacture a wide range of heat exchange equipment as per defined international standards. 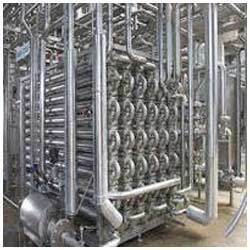 Industrial Heat Exchangers offered are developed by us on lines of international quality guidelines, thus making these highly demanded as a heat exchange media in different industry sectors. 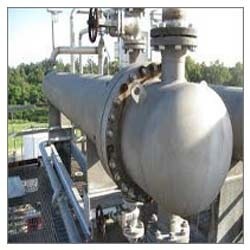 Finding application in different industry sectors like petrochemical plants, petroleum refineries, chemical plants, refineries and others, these are suited for high pressure applications and can be made available in different functional classes including R, C, B and others. The use of quality components as well as advanced process technology being made available at our end also allow us to provided these with customized changes as demanded by the customers. Heat Transfer Equipment offered come in precision designed and constructed finish so as to match these up with the standards as followed internationally. Here, our expertise lies in making these available in different finish designs as well as size options, thus allowing these exchangers to efficiently meet the requirements if transferring heat in a smooth manner. Made available at competitive prices, we can also tailor-make these heat exchangers in finish versions so as to perfectly meet the functional requirements if the customers in terms of designs, sizes and technical specifications. 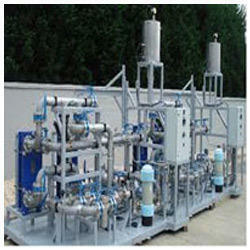 Re-boiler Heat Exchangers offered are designed and developed so as to provide simple and reliable operations. These can be delivered by us in finishes involving pumping of column bottoms liquid into kettle or with presence of liquid head for delivering liquid into re-boiler. 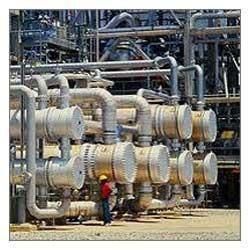 Here, in these types of systems, steam is made to flow through tube bundle which then exits in condensate form. Further, the liquid from bottom of tower is made to flow through the shell side. These re-boilers deliver efficient functionality as these are able to handle high vaporization as well as also easy to maintain. Looking for Stainless Heat Exchangers ?